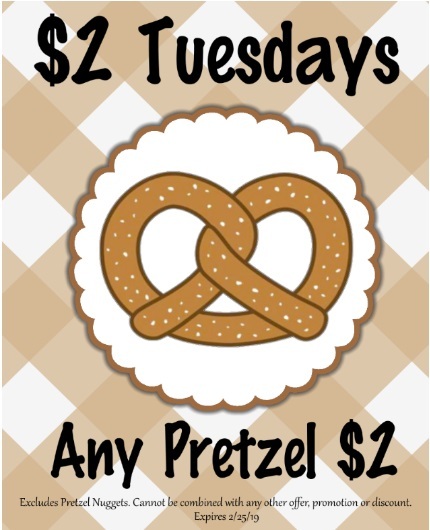 It's $2 Tuesday at Totally Twisted Pretzel - South Mall! Enjoy and original, jalapeno, cinnamon sugar, almond, garlic, or an everything pretzel for just $2!!! Buy a bunch to share with your friends.